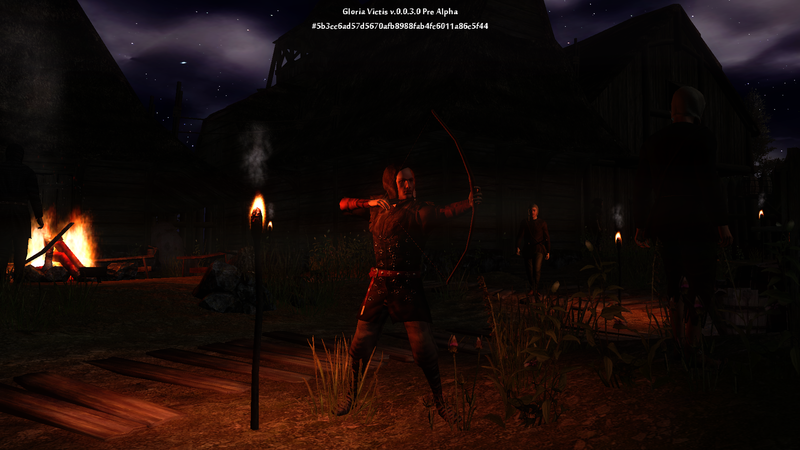 Gloria Victis is a MMORPG with an emphasis on realism, set in a low-fantasy medieval open world. Enjoy skill-based non-target combat, open PVP with territory control, deep, expanded crafting system, player-driven economy and a mature, extensive storyline – all that served with beautiful, realistic graphics and immersive atmosphere. Choose one of two nations: proud Midlanders inhabiting vast green lands or vengeful Ismirs from the frosty North and join the conflict! The new version of the game is already available in the launcher! We worked very hard to expand our game and here is the list of changes. Added an option to the option menu to turn on/off display of character name. Added English translations for party system. Removed issue where the character would block after rejecting a party invitation. Removed issue with fading FPS counter. Removed issue with disappearing player name and location name that occured in smaller resolutions. Added German translations to GUI. Added Russian translations to GUI. Added an option to log into the game by pressing Enter. Added currency system - for testing, with automatic denomination convertion. Added an option to buy/sell items in shops. Added party join request sending. Improved attack/defense balance of mobs. Fixed certain functions in party system. 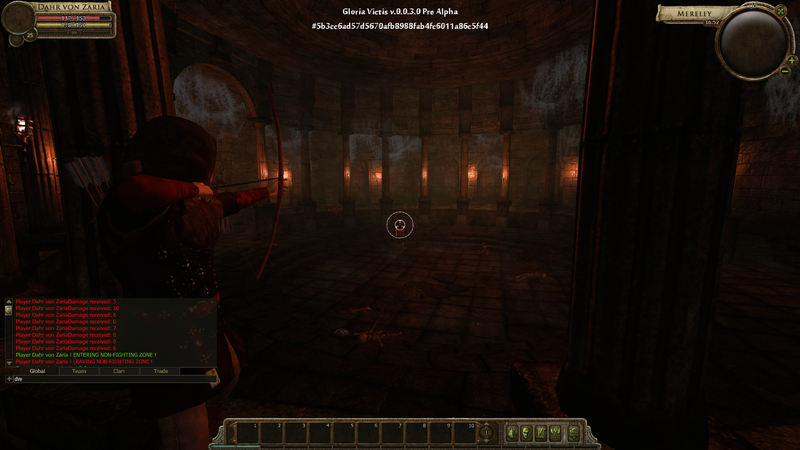 Added archery along with arrows sticking into objects. Now, to get good equipment, a player needs to drop it from a monster or purchase it for gathered loot. Improved animation of walking unarmed. Fixed animation jumps at attacking from behind the head. Rebuilt player movement system. Sudden dislocation/lag weren’t noticed. Added dynamic camera for aiming with bows. Improved attack animations in place for one-handed weapons. Improved attack animations while running/walking for one-handed weapons. Improved walking without weapon animations. Added system to play sounds during NPC and player’s animations. Added crafting, which you can learn at NPC. Added basic animation sounds for NPCs, players and mobs. Added a Warrior - new enemy in five different kinds. Added three types of wild boars : boar, sow and piglet. Added eight kinds of Atrocities. They now have different armor, attack animations, damage type and resistances. Expanded the underground and added new elements to the current scenery. Added a feature that makes all windows close when starting a new dialogue. Added an automatic cursor focus in the name input window at inviting to a party or sending an join request. Added display of money in the equipment window and the shops. Added item statistics tooltip window. Removed the problem with sold items' disappearing icons while dragging them over the shop menu. Fixed text visibility in "changes acceptance window\" on certain resolutions. Added first dubbings of NPC dialogues between NPC and player. Added first pack of event based sound effects. So when will this have a buy-able beta or alpha access pass?? Its already here. If you want to join than the easiest way is to donate using paypal at info@gloriavictisgame.com. It's what I pay for a pizza+cola so... It's a very low price. Anyway, where should I donate and are there methods other than paypal to pay? You should simply register at our forum and use paypal at info@gloriavictisgame.com writing your forum login in comment. Sadly, at this moment we support only paypal. Please let me know if you have any futher questions! I think I've to wait then, I've some problems with my Paypal account. Hope you'll introduce new payment methods soon! same here waiting for a payment page if they add one. Well worth the $10.00 price tag. I highly recommend.